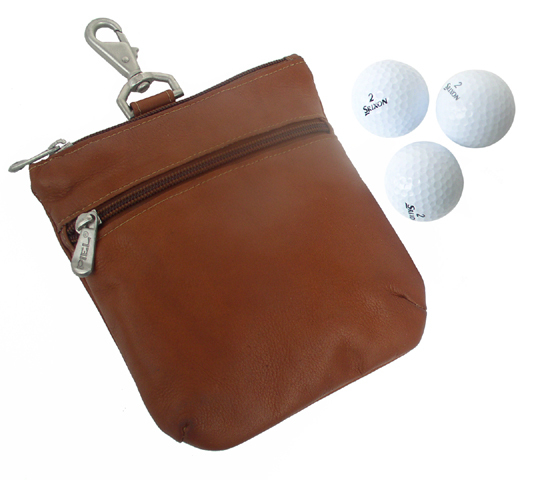 FEATURES/SPECS Two zippers mean this leather golf valuables pouch is twice as nice. 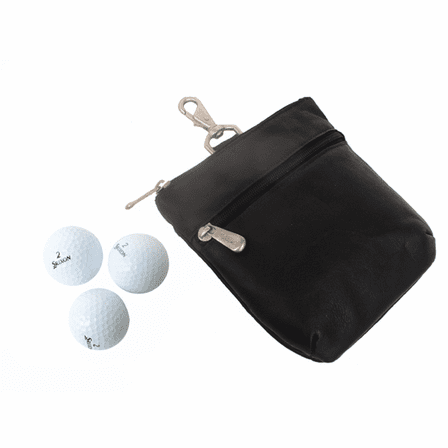 Two separate compartments in this scaled-down accessory keep your essentials organized on the course. 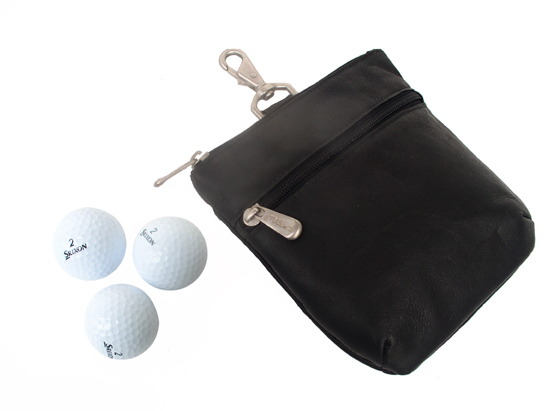 Constructed of top quality leather, this dual-zippered pouch features sturdy metal hardware with a brushed metal finish. 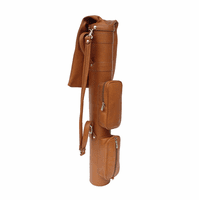 The top zips open to reveal the main compartment, perfect for holding golf balls, car keys and larger accessories. The exterior zippered front pocket allows for quick access to smaller objects, like tees or change. A top centered snap hook easily attaches to any golf bag so it won't disappear on the course. 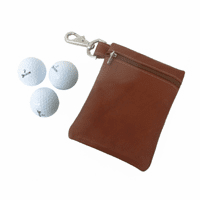 This handsome and rugged valuables pouch is available in three luxurious leather colors, and can be personalized with up to three characters. 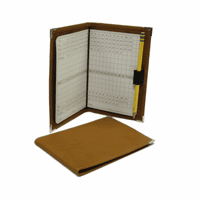 Dimensions: 6 1/2" x 7"
Was very happy to see how durable and well crafted the pouch appeared. 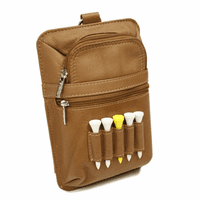 This golf pouch does it all for me except hit good drives!! 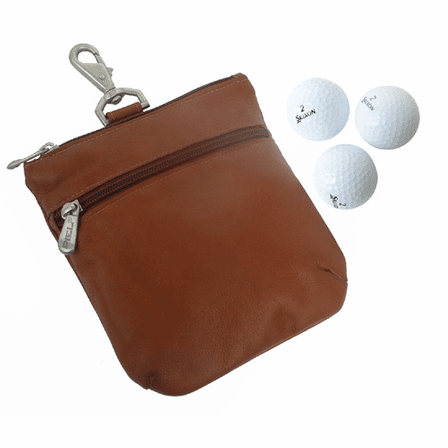 The leather is very good, the small zippered pocket is just right for my divot repair tool along with a few personal items. The larger zippered pouch is divided. I put my tees in one side and my ball markers in the other. This makes for a good routine during my piddling routine after playing a round of golf. Also, this is my second golf pouch in 3 years. The sun does fade the leather over time, but the functionality was never an issue. I'm just too picky. I would recommend this golf patch to any one. Nice product. ConsA little expensive, but worth it to me The leather will fade over time. Sun tends to do this to leather...and my skin!